Magnatune is going to be exhibiting at the South by Southwest film & music shows. If you'd like me to postal mail you a free exhibition floor pass, send me an email with the number of passes you want and your USA address. 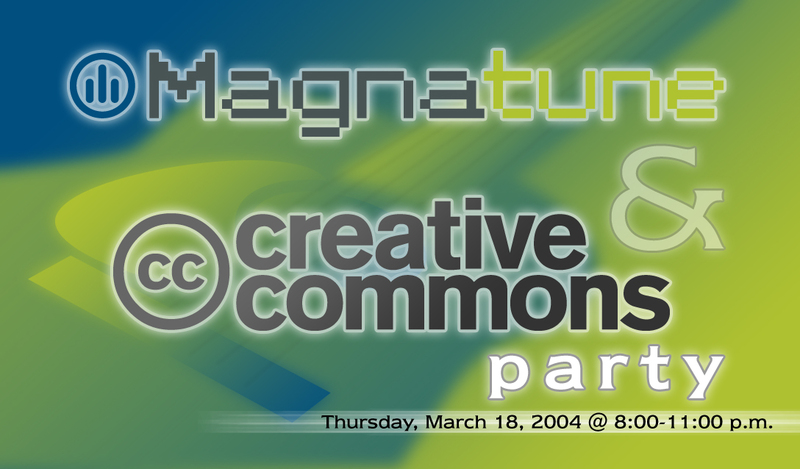 We're throwing a party on thursday night with the Creative Commons folks. If you read this blog, you're invited . Just print out the invite below and show up. 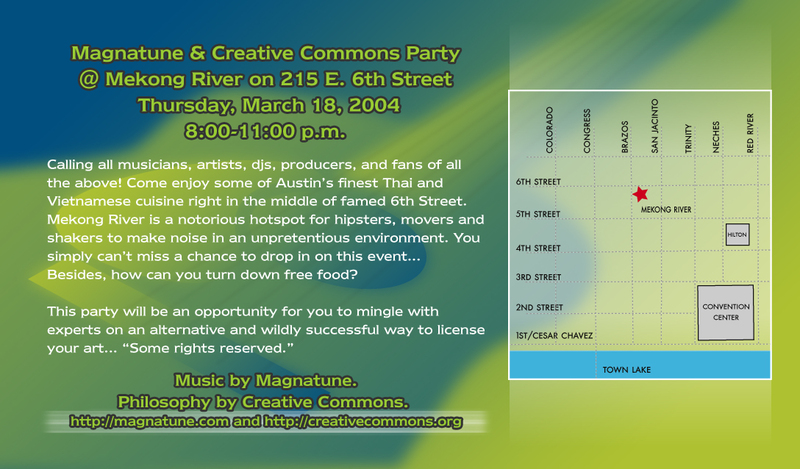 Two Magnatune musicicians will be playing at the South by Southwest music show. Drop Trio, the incredibly cool & laid-back jazz trio, is performing Saturday night (20th) at midnight, at the Elephant Room (315 Congress), as a "showcase act" (evidently that's impressive).